Facebook Officials just announced to the public about their ending of support for their Facebook social chat app on Windows 8 and 8.1 phones, by the end of this month March, 2017. Many other social medias has been doing such to Windows 8 and 8.1 phones, putting an end to the service the render to windows phone users. Few Months ago, it was Skype that ended their service to Windows users, now Facebook has followed suit. Once the service has been stopped, users can no longer login on Facebook any more, as there will be no access to their facebook account via the windows 8 and 8.1 device. Although, it's no more a news, that Windows phone is currently downgrading and losing its hold in the mobile phone market. As it stands now, windows mobile only make up to 1% phone market share World wide. And to be frank, this is nothing to write home about. They need to do something about their product in order to step up. This notice about ending the use of Facebook messenger chat app on Windows 8 and windows 8.1, was sent to users using the device in talk via message. Also check out: New Facebook Messenger Chat Features - Mention And Reactions. 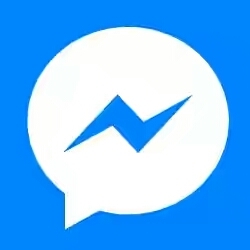 "Thank you for choosing to use Messenger.We regret to inform you that since the end of March, the app version you’re using is no longer supported and you can not send and receive messages. To continue to send and receive messages from Facebook on your phone, update your Facebook app to the latest version". Note: Facebook app is still available for other windows users like, windows phone 10. So in case you are a big fan for windows and still using their windows 8 and 8.1 version, just upgrade to the latest windows 10 and continue sending your chat messages, videos, music etc on Facebook. But that's only when you upgrade to the latest windows 10. Hope you know that Facebook Live Stream is now active for laptop users check it now.